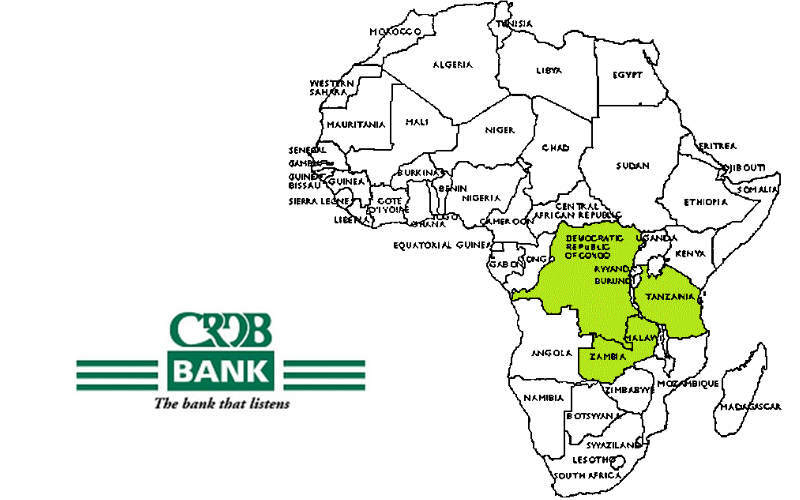 CRDB Bank Plc (DSE:CRDB), a private commercial bank headquartered in Tanzania and with branches in Burundi, has recently announced its plans to extend its operations to Zambia and other country in Sub Saharan Africa (SSA), to tap the bank’s larger lending capacity after a successful issue of rights in August, 2015 that extended its capital base to over TZS 500 billion. The right issuance of 435,306,432 shares at a price of TZS 350 helped CRDB to raise its lending capacity to over TZS 150 billion, reason why the proceeds will not only be used for national but also regional expansion to Zambia and the Democratic Republic of Congo (DRC). The bank is currently finalizing feasibility studies for both countries and it expects the opening of new branches in 2016, even though the exact date has not been released. The success on the issuance of rights encouraged the bank to target other markets in SSA and currently the regulatory environment and customer’s profile is being evaluated to anticipate the market, explained CRDB Managing Director, Dr. Charles Kimei. With a strong balance sheet of over the TZS 5 trillion, the bank is aiming also at bigger borrowers in Zambia and DRC to tap the growing borrowing demand, he added. According to the last company’s quarterly results, CRDB extended its balance sheet from TZS 4.9 trillion as of June 30th, 2015 to TZS 5.1 trillion in September 30th, 2015. According to the World Bank, Zambia’s total credit to the private sector has grown 108.54% in the last eight years passing from representing 8.2% of the country’s GDP or USD 1,046 million in 2006 to represent 17.1% of GDP or USD 2,336 million in 2014. There are currently 19 banks registered in Zambia while 29 in DRC with Access Bank, Barclays Bank, Citibank, Ecobank and Stanbic Bank with presence in both countries. Meanwhile, Zambia and Tanzania share a total of 9 banks named Access Bank, African Banking Corporation, Barclays Bank, Citibank, Ecobank, First National Bank, Stanbic Bank, Standard Chartered, and United Bank for Africa.